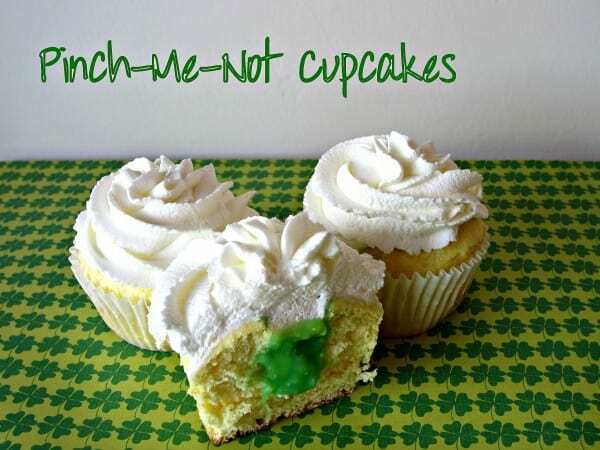 These yummy St.Patrick's Day Desserts are easy to make and perfect for the whole family. Pick one and make it with your children to double the green fun! Happy March everyone! 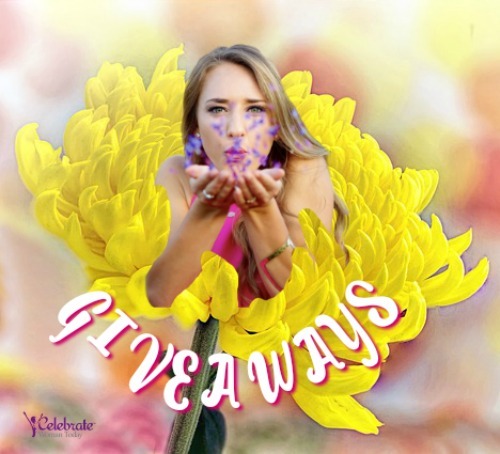 Spring time is here and that means it’s time to break out of our winter shell and get ready for all spring has to offer, including fun spring holidays! St.Patrick’s Day is a fun holiday full of 4 leaf clovers, Irish pride, and all things green! 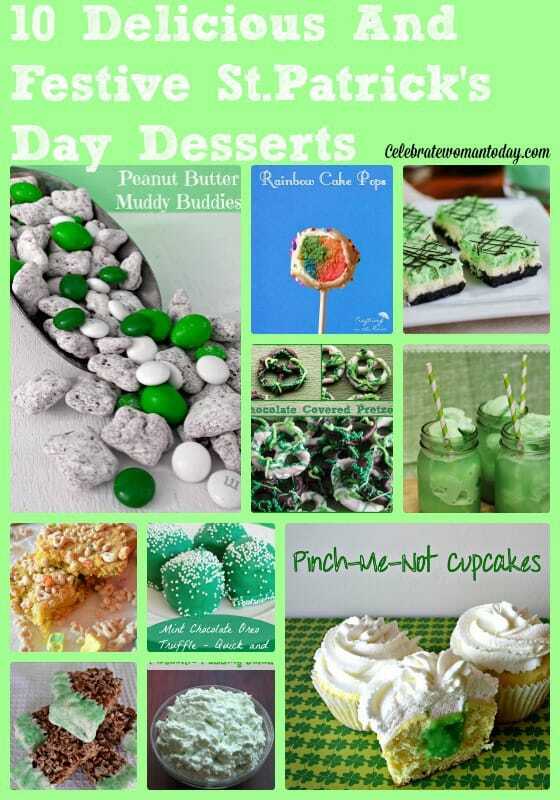 I love a good theme and anything sweet so I thought I would share with you 10 Delicious and Festive St.Patrick’s Day Desserts! 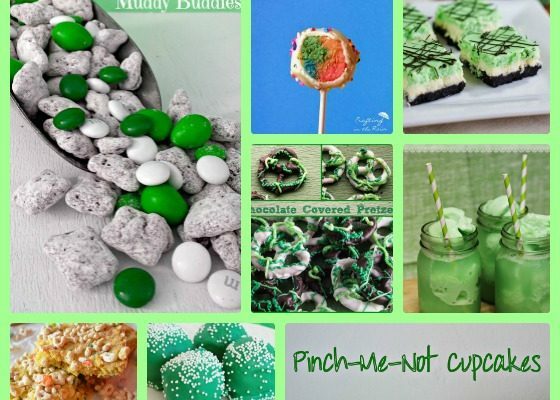 These desserts would be perfect for a St.Patrick’s Day Party, a classroom, or just to enjoy at home with your family. Let’s check them out! 1. 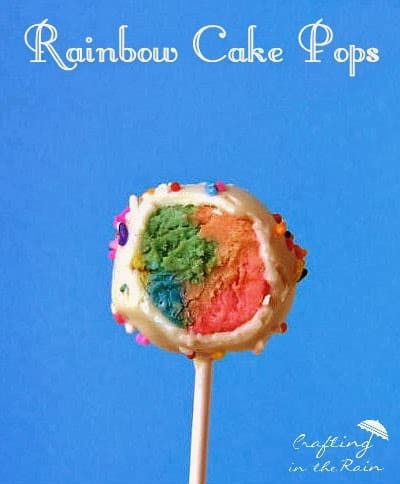 Rainbow Cakepops – Nothing say’s St.Patrick’s Day like a yummy rainbow you can eat! Your kids would love to help make these yummy treats. 2. 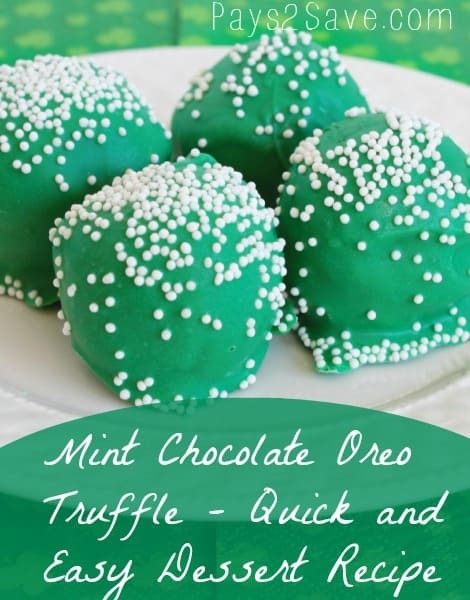 Mint Chocolate Oreo Truffle – Truffles are one of my favorite treats to make! These a minty and green so they are perfect for your little Leprechaun (or yourself!). 3. Grasshopper Cheesecake Squares – Another perfectly green dessert that everyone is sure to love, and easier to make then you might think! 4. 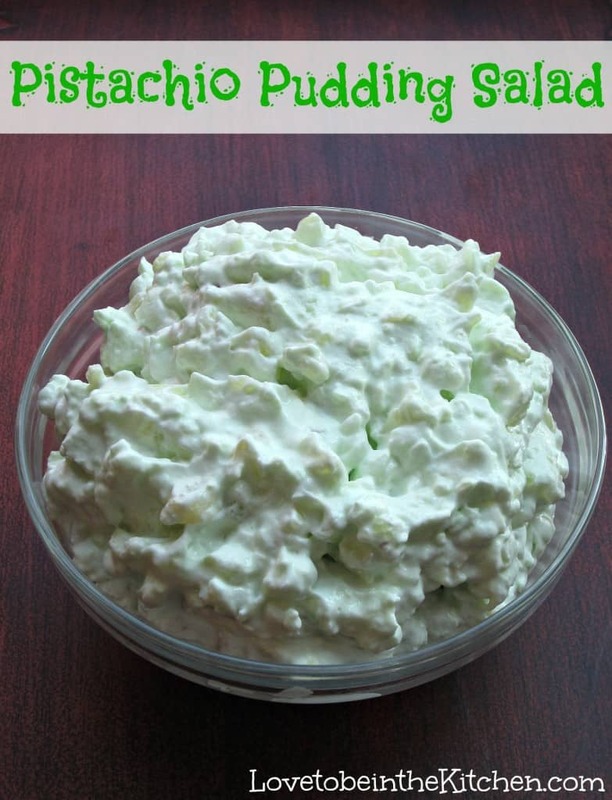 Pistachio Pudding Salad – Looking for something a little different this St.Patrick’s Day? Then you will love this easy to make recipe. 5. 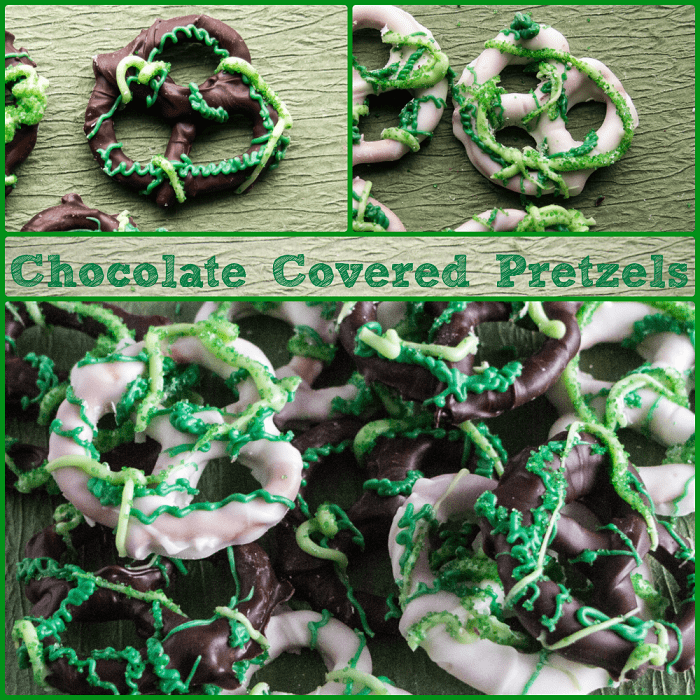 Chocolate Covered Pretzels – What’s so great about this recipe is that with a little food coloring you can adapt this recipe to any holiday. Of course you have to break out the green for St.Patrick’s Day. 6. Pinch-Me-Not Cupcakes – These cupcakes are SO fun. On the outside they look like normal cupcakes, but then you bite in and find a yummy citrus surprise! 7. 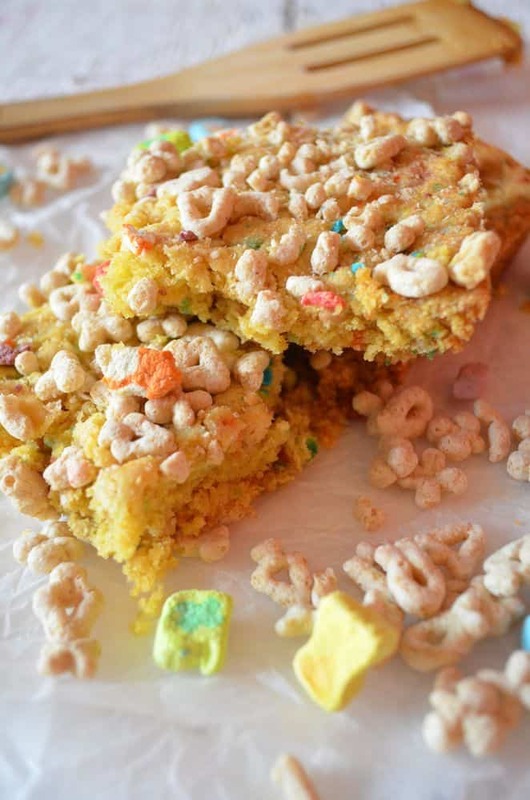 Lucky Charms Blondies – Bake with the luck of the Irish with these fun treats that prove cereal doesn’t have to be just for breakfast. 8. 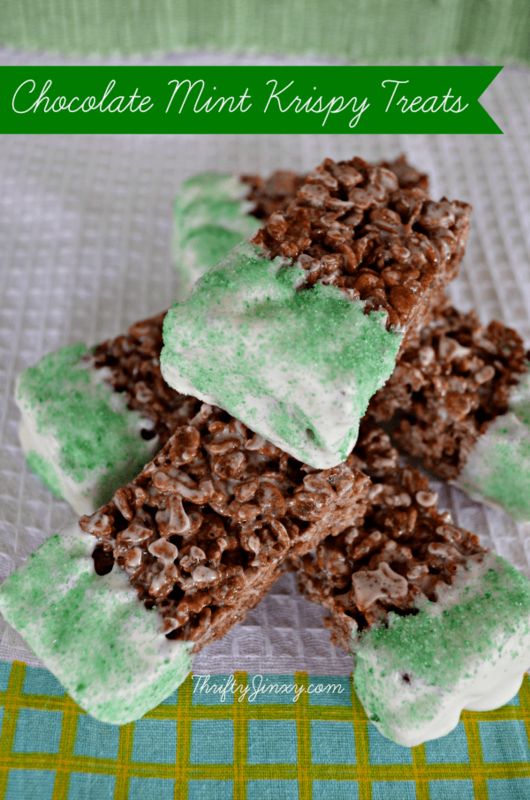 Chocolate Mint Krispy Treats – Put a new spin on a classic sweet recipe with this chocolate and mint delight! 9. 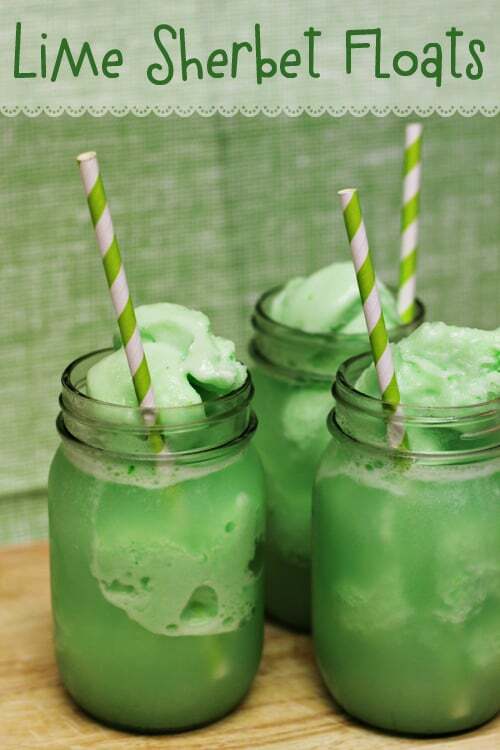 Lime Sherbet Floats – Hunting for a leprechaun can be thirsty work, so make sure you whip up one of these for the kids. 10. 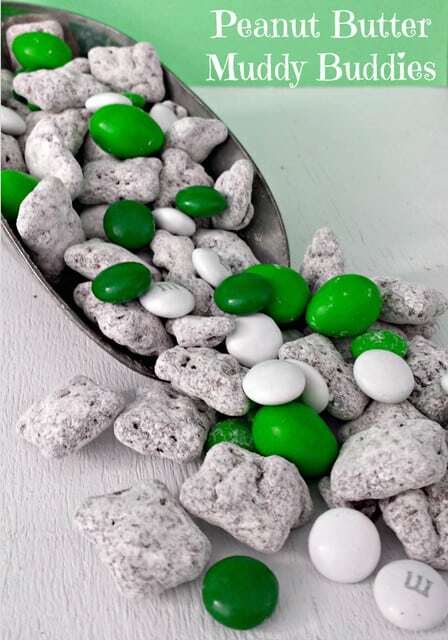 St.Patrick’s Day Muddy Buddies – Muddy Buddies are another one of my favorite treats for any time of the year. These are sweet, green, and perfect for the holiday. Do you have any St.Patrick’s Day traditions? Here Are More Recipes & Crafts For Your St. Patrick’s Day Festivities! Keep Your Lunches Warm with Warmables Lunch Kit! I am going to have to try making some of these desserts for sure. 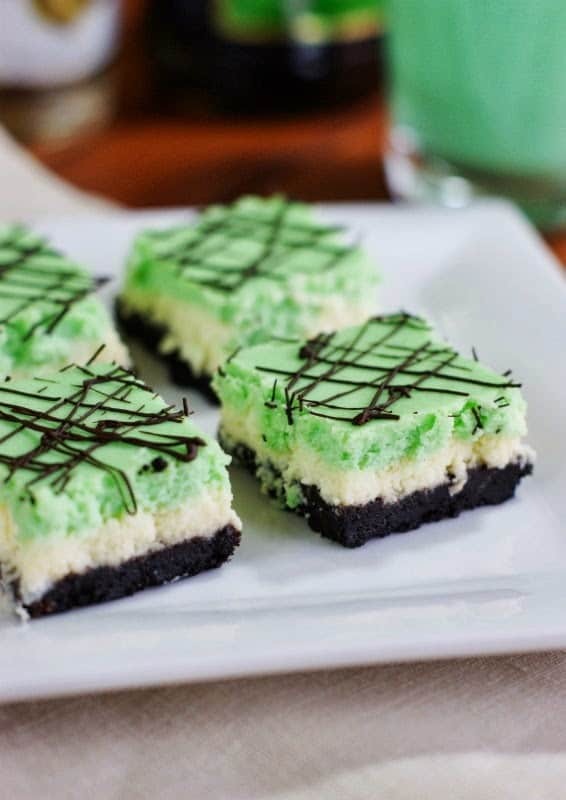 I don’t like cream cheese but I think I would love to try the Grasshopper Cheese Cake Squares. Mint should get rid of the cream cheese taste I dislike. Thanks for sharing. © 2018 Celebrate Woman Today. All Rights Reserved.